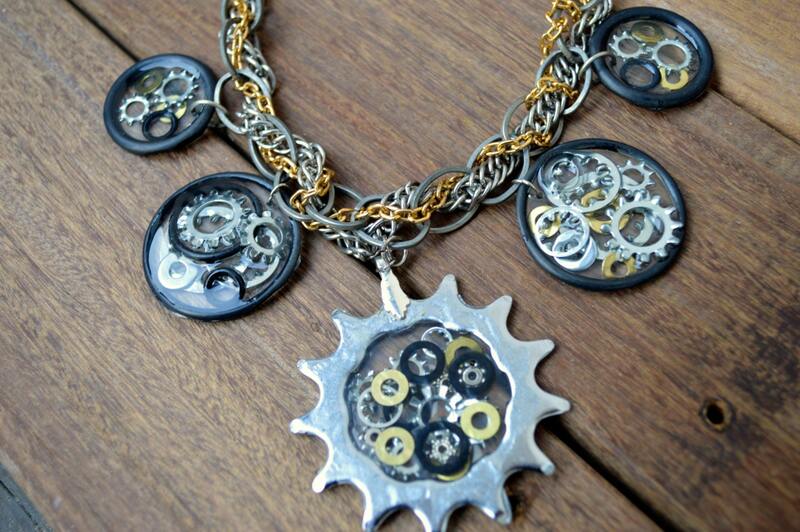 This bicycle gear necklace is sure to grab your attention and make a statement! Whether it be in support of biker's rights, a 'tell tale sign' of your own biking prowess, or simply a bold and unique necklace - this piece is going places. All bike parts are recycled from my local bike store and artfully assembled by yours truly. I'm an avid cyclist myself and have traveled far and wide with these wares. 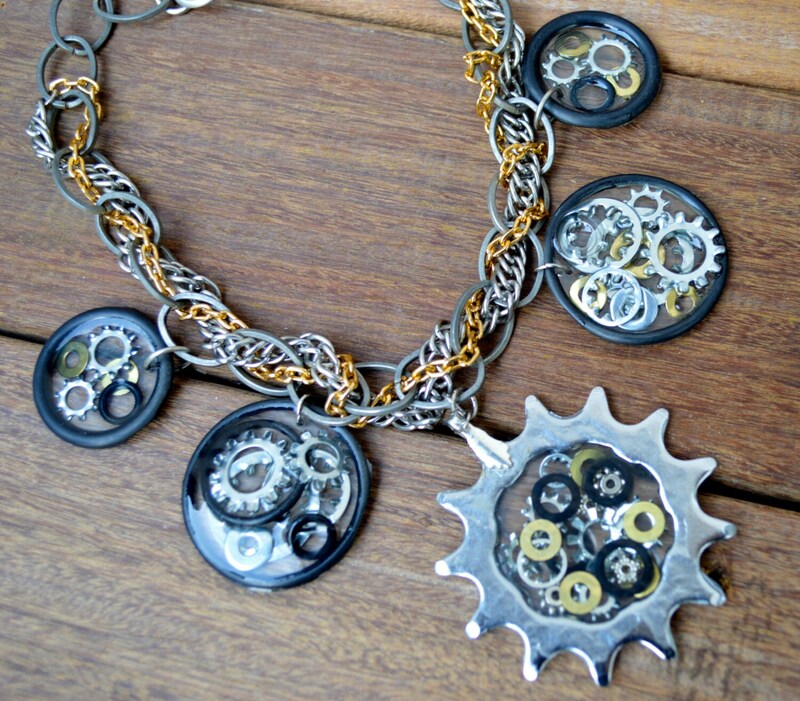 An upcycled bike cog forms the heart of this necklace, with ice resin used to embed the washers, gears, o-rings and other hardware bits in the center. The braided metal chain made from mixed metals like copper and brass. While this piece is a one-of-a-kind, please send me a private message if you would like a similar piece created just for you. All components are swappable, can be painted to match your favorite color, and can be made shorter or longer depending upon your desires.